12 Days of Holiday Giving – Day 1! “Hello SCT friends! It’s Sheri Reguly with you today. Thrilled that you’re joining us for Day 1 of our 12 Days Of Holiday Giving event! I have a festive holiday card to share with you featuring two of my very favorite things in the world of cardmaking/scrapbooking…lots of layering, and the color pink! I turned to Crate Paper’s, Merry Days Collection, for this particular card. I love the beautiful color palette, fun patterns and wide assortment of embellishments to choose from. After creating the base of my card, I wrapped two widths of white twine across the centre of the strip of the wood grain patterned paper. I then tucked and adhered the die cut doily beneath the twine. Next, I applied thick adhesive foam to the back of the red tag to create lots of dimension. After adhering the tag to the centre of my card, I topped it with several fun accent pieces from my favorite ephemera pack, including an additional tag, snowflake, and the most adorable pair of pink ice skates. A sentiment sticker was then added to the bottom right corner of the tag using adhesive foam, and embellished with a pair of puffy sticker mittens. Additional puffy stickers were then added to the ice skates. A threaded bow, a selection of enamel dots, and a touch of gold added the perfect finishing touches to my card. Are you ready to feast your eyes on some amazing prizes to kick off this fun celebration? Our friends at Janome would love to share the New Home Janome Blue Couture sewing machine today! This amazing little machine features 15 built-in stitches and a four-step buttonhole. Dial pattern selection and stitch width and length adjustment ensures ease of use. Remove the accessory bin to reveal the great free arm feature making it versatile for all types of sewing. Lightweight and easy to use, this is the perfect machine for papercrafters and sewers alike! Happy holidays! And one final prize today from us! A one-year subscription starting with our brand new winter issue! This gorgeous issue is packed full of holiday and winter inspiration to keep you crafting all season long. Today’s winner will receive four issues directly in their mailbox over the next year. A prize that keeps on giving! What an amazing first day! For an opportunity to win today’s giveaways, leave a comment below by midnight on December 22nd EST. All winners will be announced on December 23rd at noon EST. We would also love for you to take a moment to visit today’s sponsors on their Facebook pages to thank them for their generous prizes. Our SCT readers are always so wonderful at saying “thank you” and it’s because of that appreciation our partners love to share with you here throughout the year! Let’s show them how much we are love these 12 Days of giveaways! If you don’t already “like” them, you may just want to! We look forward to seeing you tomorrow! Day 2 is another fabulous day you won’t want to miss! stitch on my layouts. I love the 12 Days of Christmas. Happy holidays to all of you at SCT! Love all the inspiration and the 12 days of giving! Oh gosh what a fabulous card and a fabulous prize! Thank you for the chance to win. Facebook la la la layers!! Love you card! Thanks so much! Wow, just WOW. What a great giveaway. Merry Christmas SCT, a years subscription would be a nice treat!!! Thank you for the chance to own this lovely Janome sewing machine, and the dies from Scrapbook.com. It would be so awesome to be able to share these dies with friends! Fantastic and thank you Scrapbook and Cards today for all you do!!! Just loved the stitched card. This is a great idea. Cindy from Ohio. Thank you for generosity with such a great giveaway. I love your magazine. What a great way to start the 12 days of giveaways! Thank you! I have had my eyes on the die cut sets for a while now. what fun it would be to win them. I love all the prizes today! Thanks for the giveaways! You guys are amazing. So generous! What a fabulous way to kick of the 12 Days! So generous! Oh! Also loved the card! I only recently started papercrafting (about 6 months ago) so I am still building my stash and adding “must haves” a few at the time and oh how much fun it has been lol. This is my first SCT “12 Days of Holiday Giving” and what a start! Today’s giveaway is a slam dunk for a beginner or advanced maker! Sheri’s card is awesome – fun, festive, and so much to see, I love it! I am so looking forward to the next 11 days of inspiration and fun! Merry Christmas! Wow those are some awesome prizes. I would love to sew on my projects, so that sewing machine would be awesome. That is quite a nesting pack of dies! Scrapbook and Cards today is always awesome. Wow! What a way to start the 12 Days of Giveaways! I just love these giveaways. Kicks off the holiday season with some fun. Thanks for the amazing prizes. Happy Holidays! Such fantastic prizes! WOW!!! What a great giveaway. Thx for a chance to win these great prizes. I never pick up ephemera but this card shows a great way to use them. And as for the prizes: what a start! Wow – what a gorgeous card! Simply delightful! Love the stitching! This is one amazing giveaway! Thank you to the sponsors! I left them some love! Happy Holidays! Oh wow. My grand daughter would love to have the machine. She loves crafts. I would give it to her if I win. Beautiful and generous prizes. What fun any of these gifts would be! me the push to try it. Your card is fantastic. Wow 😮 An amazing start to 12 Days of Awesome 👏🏻 Thank you for the chance. Love the card and all of these products! Thank you! Happy hidays! Wow and Merry Christmas. I always look forward to your giveaways and can’t believe today’s prize package. Thanks for the live Facebook feed as well. What a way to kick off this celebration! Fantastic card and prizes! Well deck the halls!! What amazing prizes! Sewing machine, magazine subscription and dies oh my!! Thanks for the chance to win! Wow! Awesome prizes! You always bring great inspiration! Wow, really starting out with a bang! What great prizes. I love the colours of those Janome sewing machines. The blue would fit oh so nicely in my paper play room 🙂 I love that you can sew and craft with it and it looks so pretty. Those dies are amazing and what a great addition to any crafter’s arsenal and we all love your magazine or we wouldn’t be here 🙂 Great sample card today as well, love all the playfulness in it. This is an amazing prize package! The 12 days of Christmas by ACT is the best of all! Thanks for the chance to win. What an amazing giveaway. That machine would make stitching on my layouts so much easier. Wow! What an amazing way to kick off the Twelve Days of Giving! Thank you Janome, Scrapbook.com and SCT! Thank you! Merry Christmas & can’t wait till C&C Moncton in March!!! What an amazing giveaway! Very generous! Thanks for the chance to win! This is a start off…?? What could the other days be? What a generous gift. I loved the Merry Days card as that paper is my very favorite!! Beautiful prizes…what a lovely Christmas surprise it would be to win one. Wow–what a fabulous first day! Love these giveaways. 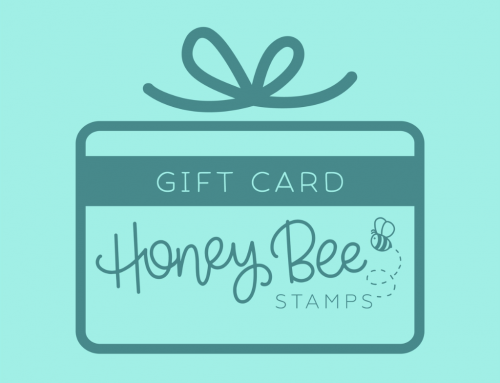 I love this card, and this is an awesome giveaway – SCT is the best! I would love, love, love that sewing machine. Merry Christmas to all. Love the Janome sewing machine in cute colors! Thank you for this awesome giveaway chance!! These are all spectacular prizes and I love the pink and layers too. I love this time of year and would be blessed if I won anything in this 12 days so thanks for the chance. What wonderful prizes for the first of the 12 days of Christmas. Thankyou to all the great sponsors, Janome, Scrapbook.com and SCT!! Happy Holidays to all. I love the fun colors and patterns in the card. Nice giveaways. This is a truly amazing prize package! I would love any one of the items. Thanks so much for the chance to win. I just gave my mom’s old sewing machine to my neighbour so this would be a great prize to win (not that I am any good at sewing but watching the video has made me want to try to sew on my cards now). What a great giveaway! What really great prizes – thanks so much for offering these! What a fantastic way to start the 12 days, great tips and great prize! What a beautiful vintage feel to the card, love Crate paper. A years subscription would be awesome. Great giveaways and I love the card! BEEEEEEEUUUUUUUTIFUL products, someone is going to be so lucky!!!!! An amazing die set for card making that I still haven’t bought for myself…. Oh the possibilities! I’ve always wanted to try sewing on a layout! Great opportunity and awesome colors! Such a wonderful giveaway!! Thank yo so much for your generosity and I am looking forward to see all the prizes!! Oh my, great give away! I’d love to receive that Janome sewing machine and Scrapbook & Cards Today magazine for new inspiration. WOW!! All I can say is Wow and thank you for the opportunity to win such a fabulous prize package. Thank you for the Christmas giveaway. I don’t have many supplies so it would be great to win something. Of course I would like to have it all. Awesome prizes! So many things to be done with such wonderful craft prizes! What a great prize. How nice of all of you to provide these prizes. Ha! When I looked at my comment, I typed Dab instead of Deb. Awesome prizes! So many things that could be crafted from these prizes. Wow…these Christmas giveaways seem to get more fantastic every year!! Great way to start the 12 days of Christmas! Fabulous prizes! Looking forward to your 12 Days of Holiday Giving! Beautiful card! And what great prizes! Thanks! Just recently discovered this magazine – I am loving it and loving the first day of your give away! Off to check out the prize links! Are you kidding me? This is a fabulous prize pack , wow, I am blown away! Thank you for the chance to win this fantastic prize. That die set is fantastic! I have a sewing machine and all those dies, so I would love to win the subscription. A great kick-off! As soon as I saw the card I knew it was Merry Days – fantastic! Sheri your Christmas card is absolutely gorgeous. Thanks so much for the chance to win some awesome prizes. Merry Christmas Scrapbook and Cards. With a die cutting machine coming for Christmas these would be a great addition to help me use it. Love stitching on cards and layouts, just dont have the machine to do it. Love the non-traditional colors on the card! I so look forward to the SCT 12 Days of Christmas! What a great start; the card is adorable, creative and simple. I would love to incorporate sewing into my projects. Thanks for the opportunity to win! Thanks for the wonderful opportunity to win these amazing prizes. It is the season of giving and you started day 1 with some awesome prizes. Thanks SCT you really know how to get this party started! Wow what an amazing prizes for just the first day… I’d love any of them 😉 keep putting out great magazines and kits. I am just reading my winter magazine now! Always great prizes provided by great companies! That card is so very pretty! It would be fabulous to win this prize! Great ideas shown here! Thank you for sharing beautiful ideas and the opportunity to win great prizes. Look forward to this every year – prizes look fabulous! Thank you! What a wonderful way to kick off the 12 days of giving!! I can’t wait to see each day! Awesomesauce! Be still my heart!!! What an amazing giveaway!!! I would be honored to win!!! Thank you so much. What a fantastic first day! Thanks for the chance to win from some terrific sponsors! Beautiful card! I would call myself an experienced card maker, but I don’t own all those basic shape dies, lovely gift. I love the adorable pink card. All the prizes look amazing – especially the sewing machine! As always great prizes, thanks for the opportunity. Your entire team and sponsors are just too much! This is amazing. Thank you everyone for this crazy opportunity! What a wonderful 1st Day of Christmas prize. Thank you for the opportunity to win. It will certainly help to make the season bright. Thank you for the wonderful card idea too. Wow what great prizes to start off the 12 days of Christmas – going to be a fun party ! Thanks to sponsors and SCT for sharing with us. Love you guys-I mean gals!!!! It’s the most wonderful time of the year when SCT launches its 12 Days of Giving! Such generosity from SCT and its wonderful sponsors. What a beautiful card you’ve shared! What awesome gifts–a new sewing machine would be amazing, especially since mine is 33 years old! Also what a wonderful gift from Scrapbook.com, who doesn’t need a bunch of dies for card and scrap making! I’ve been perusing the online version of your latest edition, but have been considering subscribing because there’s just something about holding a real book. Thanks for hosting such a wonderful celebrations. This is such a cute card! 🙂 Love all of the detail you put into it. The Janome machine is a wonderful giveaway. I would like to try adding stitching to my scrapbook creations. Wow! Lovely first day.Some pretty inspiration.Thank you for the new ideas,I needed them. Great prizes for this first day of the 2018 giveway! What a cute ice skating card! Love the aqua color of the Janome sewing machine – would love to play with it and all those embossing designs. Thanks SCT!! What a wonderful prize package! Merry Christmas!! Wow….thank you so much for this chance. Merry Christmas!!! Wonderful card!Pink at Christmas time is extremely under appreciated. Also, these prizes are amazing. I’m getting my first die cutting machine for Christmas. It’s wrapped underneath the tree. And I have basically no dies….The set from Scrapbook.com would be magical. Thanks, all! Wow, fabulous prizes! Can’t wait to see all the 12 days of surprises! What a phenomenal card with some of my favorite holiday products this year! And this giveaway is awesome! Thank you! Wow! What a start. Such fabulous prizes! Thanks for the chance to win! Happy Holidays! I loved to ice skate as a kid. Sheri’s card brought back memories. Thanks for the opportunities to win. Wow! What a first day! Great prizes! Amazing give-a-way. I loved the video today. Great prizes. I would love to win anything, but, really would like the dies. Thanks for the opportunity to win. I would love to win these does! Thank you for this chance! Thank you SCT and sponsors for such a wonderful day one give away. I use pink in my Christmas decorating so this card is right up my alley. wow that is a great prize! Thanks for the chance to win! I must say the first day of Christmas is pretty spectacular! How on earth are you going to top these amazing prizes. Love the card and detailed instructions for the card. Would love the Janome sewing machine as my first sewing machine quit working (not Janome). What a great assortment of dies! Thank you for the chance to win such great prizes! What an awesome and generous way to start the giveaway series! Thanks for sharing such a fun and festive card with us Sheri! AMAZING giveaways!!!! Thanks so much for sharing!! So happy to have discovered your site! Great ideas and people. I love the stitched tag on your page layout—especially after watching your FB Live today with Jennifer Tryon. Thank you to the sponsors and fingers crossed for the win! First GORGEOUS card! Next what amazing prizes! Way to start out with a bang! I love all of them! Headed to the FB pages now to show my appreciation! Thank you for the chance!!! What a cute card! Would love to win the Janome sewing machine. what a great start to the 12 days of Christmas! I love the machine, the die cuts are fabulous and who couldn’t use a subscription – best magazine out there! looking forward to 12 days of inspiration and prizes, thank you! Thank you for the opportunity to win some great prizes. And for the continuous inspiration in your magazine! Oh my gosh what generous prizes! Your sponsors rock! Such an amzing coincidence! I was looking at exactly the same nested dies on scrapbook.com just today. Wonderful prizes, thanks to you all. The prizes are amazing!! The die set would be awesome to own. Wow..what fantastic prizes. Great card. Thanks for the chance to win. What a great prize! I would love to win these for my birthday, as I am a Christmas baby!! I will put these to GREAT use! Thank you for giving me the chance to win! The sewing machine would be great but to take to crops. Thanks for the chance to win. OMG! What a fabulous first day of Holiday Giving!! Thank you at Scrapbook & Cards Today and all the partners who have joined in for this event. I have been an Avid sewer and scrapbook enthusiast for years. How exciting for the opportunity to win a gift from the fantastic partners! Happy holidays t everyone. I want to thank you for including Chanukah cards in the latest issue of “Scrapbook & Cards Today”. What an absolutely beautiful card and I just love that bit of stitching. Thank you for the inspiration and chance to win an amazing prize pack!! Wow. Great prizes on Day 1. I love the stacking dies. So excited to be a winner. Thnx. What wonderful giveaways. Thank you sponsors for the fun. Nesting dies are the Best! So many uses! Lovely Card. Thanks for the inspiration. Thanks for the chance to win these amazing prizes. Thanks so much for doing this!!!!! Love seeing new products! Love your magazine too!!! Great prizes, especially the dies! I have loved my Janome for sewing. This is an amazing prize. I would love to add these to my die collection. Any prize would be fabulous. Thank you for sharing the Christmas spirit. What fabulous prizes! I don’t sew on cards because I don’t own a sewing machine. But, just thinking of all the things I could sew is wonderful. Thank you for the chance to win. Adorable card! So festive and happy! Thanks for sharing this fun with us! Wow! Sewing machine, dies & a magazine. Thanks for the chance to win this great prize package!! Just when I thought you and the sponsors had out did yourself last year … WOW … very generous. Thank you for the chance to win these amazing gifts. Sheri, you are one talented person! Thank you for sharing your card with us. Off to a great start with the give aways…love Janome products! Holy moly! Way to start the 12 days off with a bang. Amazing giveaway. Thanks for the chance. What a great beginning for the 12 days!!! The card is very nice and full of details! What a way to start 12 Days of Giving SCT! Imagine winning a sewing machine, how awesome would that be. Also great giveaways from scrapbook.com and SCT. Wow!!! What amazing prizes and the generosity of all the companies… it would be awesome to win … thank you for the chance and Merry Christmas!!! So much fun!! Lovely items that you are giving away….so excited to be apart of this! What a wonderful way to start the giveaways! I don’t have FB so a shout out to all the sponsors to thank them for their generosity. Awesome, awesome, awesome!!!!!!!!!!!!! Thank you SCT and Merry Christmas! Wow, Day 1 has amazing prizes!! Ba-BAM!!! Way to come out of the gate!! Thank you for the anticipation and glee of the next 12 days!! This prize package is amazing! What a beautiful card and amazing giveaway! Wow! Amazing giveaway!!!! Thanks for the chance!!!! Wow! What a generous offer. I don’t have any of these happy scrappy items but would love to try them all! Loving these crafty days! Thanks for today’s inspiration and those in the coming days. This card is adorable and has a cool old-school vibe. Beautiful card and wonderful prize package. Super cute card and a great giveaway! Thanks for the chance to win! What awesome giveaways! Thanks to SCT and the fantastic sponsors. These are incredibly generous giveaways! I will definitely be checking in for all twelve days! Stitching on a card – how fun. Love the idea. Great giveaways, thanks for the chance to win. Love today’s prize and I loved seeing it in action of FB live!!! Awesome way to start thanks to all the sponsors for such a great prize! Sooooo much inspiration on that super cute card! Love Crate Paper, and you definitely did an amazing job showcasing it! I love your accent touches ! I love that card! 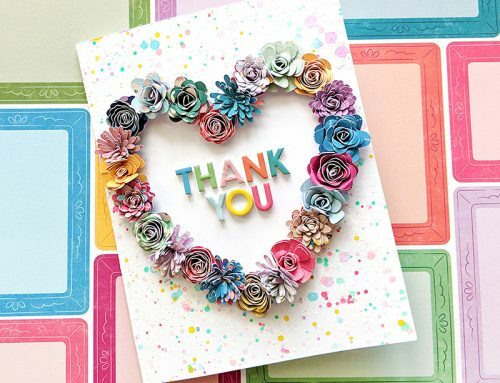 THANK YOU for sharing lovely layers of INSPIRATION and for the chance to win some CRAFTY AWESOMENESS! Oh wow wow – you all know how to kick it off with a bang! I dream of owning a sewing machine! Fingers crossed! What an amazing 1st day prize pack!!!! I need & can use each of the items, the sewing machine, the dies & the subscription 😍 thank you for the opportunity. What a great prize! Thanks for the chance to win!!! My first 12 days of holiday giving! So fun. Wonderful prizes and great card inspiration! These are beyond amazing prizes! I would be thrilled to win any one of them! I’ve wanted a sewing machine for ever to make home decor. I have a Sizzix Big Shot, but none of these dies-what are the odds;)! Lastly, I have missed having a subscription to a scrapbooking magazine-something to look forward to in my mailbox each month!!! I love this prize…it’s on my Scrapbook.com wish list!! So generous of the various Sponsors. Thanks for sharing the bounty! Wonderful & exciting giveaways, thank you for the opportunity to win!! Thank you for adding more excitement and generosity to the holiday season. Amazing first day prize! How I would love to be a winner! It’s beginning to look a lot like Christmas…And you are giving us a chance to get the presents! How awesome! What a lovely start to the 12 days of giveaways! There’s is a perfect spot in my crafting space for the Janome sewing machine, and a girl can never have too many dies or too much inspiration! Thanks for the chance to win Scrapbook & Cards Today! Thank you for featuring these items; they are amazing! What great giveaways…I would love anybof them! What a great way to start the gift giving. Love it. What a fun and festive Christmas card. I love SCT 12 days of Christmas. Fabulous prizes from fabulous sponsors! Thanks for a chance to win. Wow! What a way to kick things off! Many thanks to all of your kind sponsors, and to all of you who inspire us daily!!! This is going to be an epic 12 Days of Giveaways! Love the magazine and look forward to each issue. Gorgeous card with so many layers! Thanks for the chance to win! I’d sure love the Janine sewing machine to stitching on my layouts. Wow, what a way to start a 12 day giveaway, a sewing machine, nestable dies and a SCT subscription! Can it get any better for the crafters? Thanks. Thank you for such a fabulous giveaway! Happy Holidays! Merry Christmas! Oh, what wonderful prizes to be won ! Merry Christmas ! Wow! Such an outstanding giveaway! Thank you to all the sponsors. I truly believe that you have the most generous giveaways. Merry Christmas! What a wonderful giveaway! I love to add stitching on all of my projects – scrapbook pages, cards and tags. Wow! What a great way to start off the Twelve Days of Holiday Giving! It sure is the most wonderful time of the year! Thanks you Janome, Scrapbook.com and of course SCT! This is just a wonderful prize package and I thank you for the chance to win it! What amazing prizes, all from great companies. The 12 Days of Christmas will be extra fun this year! Cute card, so many layers! Amazing prize, thanks for the chance to win! Your blog and magazine are always so inspirational. Can’t wait to try out some of the ideas. Janome-my mind is blown! SCT how do you think of such awesome prizes?!? Like seriously?!? You guys are AMAZING! Oh wow! Always such fabulous giveaways! Thank you for the chance to win it! This is my first year to participate in the SCT 12 days of Christmas and can I tell you that I am impressed with the beautiful card that was presented. I love that it’s not to traditional but Holiday in its way. As for the prizes… say what??? Those are some awesome and great prizes and if it’s in my cards to win one I would be so happy! No matter what happens Ia girl can still dream, can’t she??? Love this giveaway! A sewing machine, all the nested dies and the year subscription! All of these for just Day 1. Thank you for the opportunity!! Thank you Scrapbook & Cards magazine for creating this fantastic event, I am so looking forward to The 12 Days of Holiday Giving! Day one’s giveaways are all so amazing and generous. The Christmas card featured today has such a fun scene and it’s very beautiful too! Fabulous prize! What an incredible way to get it started! Drooling over the coloured machines!! I’m a huge fan of Janome and have been introduced by grandma. Beautiful card! Such generous prizes! Thanks for the chance to win! I just love seeing the projects. Thanks for the chance at some great giveaways! Wow, such amazing prizes – they all sound awesome!!! LOVE this card. Very talented designer. Thank you for the chance at such wonderful prizes. Wow! What amazing prizes from such fabulous sponsors!! I hope you’re all having a wonderful Christmas! Wowza! Three prizes on the first day! Sewing machine, paper dies and a full year of the magazine. This is amazing! Thank you for the opportunity! Looking forward to this awesome event. Can’t believe therebisnso much spoiling on the first day. Thank you to the sponsors for the opportunity to win these Incredible prizes. The card is so beautiful too with so many fun features to copy and make. What great prizes! It would be wonderful to win and start gettin’ creative!!! Wow! Great giveaway! Thank you! AMAZING prize!!! and very beautiful card!!! That card is just too cute with all it’s details! Thank you to Janome, Scrapbook.com and SCT! These prizes are all amazing and someone is going to be very happy winning any of them! Wow!! What a great day of giveaways!! Beautiful card, wonderful prizes and the nicest gift giving opportunity, thank you!! I so look forward to the 12 days of holiday giving from SCT and all their fabulous partners. One of these years I hope to be a winner. That card is so very cute! And the giveaways are very generous. Thank you for the opportunity to win! What awesome prizes and great companies. Good luck to everyone. What a beautiful card by Sheri Reguly! Love the Merry Days collection from Crate Paper. It is so much fun. Thanks for the chance to win one of your wonderful prizes. Hooray for SCT! Thanks for the chances to win over the next few days. Wow on all those scrapbook.com shape does! Your magazine never fails to inspire me. Such a cute card, love all the little touches she added. Than you for a chance to win an awesome prize..
great inspiration to scraplift. looking forward for more goodies. I love these giveaways. Thanks for the amazing prizes! Wow! What an amazing prize! Thank you for the chance to win. Wonderful first day! Fun card & incredible prizes! I would be the happiest person if I won this sewing machine and the other great prizes! WOW! What a fabulous bunch of prizes – you guys ROCK!! Lovely card, thank you for the chance to win! Love Sheri’s card, and the prizes are incredible! What a great way to kick off the holiday season! Thanks, SCT, Janome, and scrapbook.com! What a cute little card and quite the kickoff for 12 days of Christmas! Love the card. It’s fun to see the pink used for winter fun. Thanks to Janine, Scrapbook.com and of course the best magazine ever, SCT! for their generosity and continued crafty goodness. Well, WOWWW!!! What an awesome start to your 12 Days of Giving! I would so love to win a new machine and in such great colours! The collection of dies is so versatile and who wouldn’t love a year’s subscription to your creativity by your DT and others!! I love that Sheri used Crate Paper’s “Merry Days”!! Such a sweet and fun line!! Fabulous card Sheri, amazing layers and design. What fabulous and generous prizes to kick off the 12 days of holiday giving! Wow I’m amazed by this card Sheri, it’s beautiful. I’m making my own cards for the first time this year and I’ve got so much to learn. Thank you for sharing it with us. Thank you so much for the opportunity for this generous giveaway. What a great Day 1 gift for one of us fans of SCT. The hand stitched look on cards really make the cards look hand made with love! What a fabulous giveaway! Am “dieing” for those nested dies. A sewing machine so close to my heart, a magazine to inspire! This has it all covered. Thanks for this. That Janome sewing machine would fit perfectly on my craft table and I would love to win the sets of dies! Thank you for an awesome giveaway! Sheri’s card is so fun and festive! I love the bright colors and all the layers. A huge thank you to today’s prize sponsors! What a wonderful giveaway! Awesome magazine full of great inspiration! Merry Christmas Janome and SCT!!! I love SCT’s 12 Days of Christmas … it’s always a great start to the festivities! Thank you sponsors. Love the card, thank you to the sponsors. It’s Christmas !!! That little Janome sewing machine is toooo cute :))) I must add that to my wishlist ! Merry Christmas SCT ! What a wonderful opportunity! Thanks! That card is a work of art – gorgeous! Thank you. SCT and all the sponsors for the great prizes! So many wonderful ideas. Thanks for sharing your card. .good luck to everyone. Wow, three amazing prizes, I always thought you saved the best for last! I can’t imagine what’s better than a sewing machine, die collection, and a 1 year subscription to your magazine. I love the Janine and dont have a machine yet. This would be so great. Love the card and the chance to win a prize. Thank you. Fabulous giveaway and so generous! Janome machines are the best. The dies fill every shape need imaginable and love your magazine! Great card, too. So colorful. Wow!!! What amazing, beautiful gifts! I can’t believe this is only the start of the 12 days. SCT and the sponsors have really outdone themselves. I would love to win the Janome sewing machine. It was nice to see how easy the machine was to use in the Facebook live with Jennifer Tryon. It would be nice to learn from her on how to use it properly and some of her tips and tricks, as her added bonus. Thank you for the opportunity! What a cute card – love the pink! Awesome giveaway. I would love, love a free one year subscription to SCT. It’s my favorite magazine and I only wish it came out every month!!! Wow, what a kickoff to start the party season!! Thanks so much for all the fun. The Janome sewing machine would fit perfectly on my craft table, as wellas the “sets of dies”! Thank you for a great giveaway! Just love the card! It’s gorgeaous…. What a huge start to the most wonderful time of the year!! A beautiful card with all the layers and a nice way to incorporate a non traditional colour. Thank you to sponsors and SCT for a chance to win! Amazing prizes! I absolutely love the card too! So fun and festive! Good luck to all in winning these great prizes. Well that’s quite the start!!!! Count me in! Thanks for the chance to win! Stitching on my pages gives them such a lift!! Wow! What an amazing start to your giveaways! I love stitching on my pages and could use a new machine! 12 days events are always such fun. I love the card and this collection of prizes would be amazing for me! My mom sees and I’ve always counted on her skills, but since moving far away from her I’d love to try and put some of what she taught me to work with my own machine 💕 also, I can’t believe how many of those basic shapes I don’t have! Wow, love to see and read about all the new “toys” in the scrapbooking world! Thanks SCT and the sponsors for a wonderful give away! I would love a chance to win, thank you for the offering of great prizes. Amazing prizes! Would love to be able to sew on my paper products so a sewing machine would be amazing!! Merry Christmas! love, love all the prizes! And the non-traditional colors of Sheri’s card really appeals to me! What a beautiful card. And what a wonderful way to start this annual gift giving! Thanks to you and all the other generous sponsors. Oh, my goodness! Wonderful prizes! And I love the card you created! Thank you for the Give Aways!!! Oh wow. What a prize!! That machine looks amazing. There is so much I could do with that…amazing. Loving that card…so fun! Thanks for the chance to win. What an inspiration! Thanks for all the great ideas, first class and all the free digital downloads! You guys ROCK! I would love to stitch on my orojects! This is such an exciting time of year! Thanks for the chance to win these amazing prizes. WOW! What a great list of prizes to kick off your 12 Days of Holiday Giving. Love The Complete Decorative Die Set – Nested Variety Kit. Can’t wait to see what the next 11 days will bring. Whaaaaaaaat? What an AWESOME, AMAZING giveaway! Thank you for the awesome prizes! And I love, love, love Sherri’s card with Merry Days! So many cute elements! Wow! The sewing machine has been on my wish list. Amazing first day of give always! How lovely! Thank you for these giveaways! What a fabulous giveaway!!! Love the color of the Janome!!!! Wow!!!! What amazing prizes. The card is so beautiful, I’m inspired to make one right now!!!! That’s such a generous prize and an amazing start to the 12 days! Thank you. What a fabulous prize. Thank you SCT for the 12 days of giveaways. Your the best. Merry Christmas everyone. Such a beautiful project and an amazing give away. The card shared today is beautiful! Thanks for the chance at today’s prizes! The card is so fabulous and detailed. Thank you for sharing these giveaways with us! WOW Amazing giveways, they would be welcome in my craftroom! The card is beautifully detailed. Thank you for sharing these giveaways with us. Love the big pink skates on the card. Facebook live video was really good. 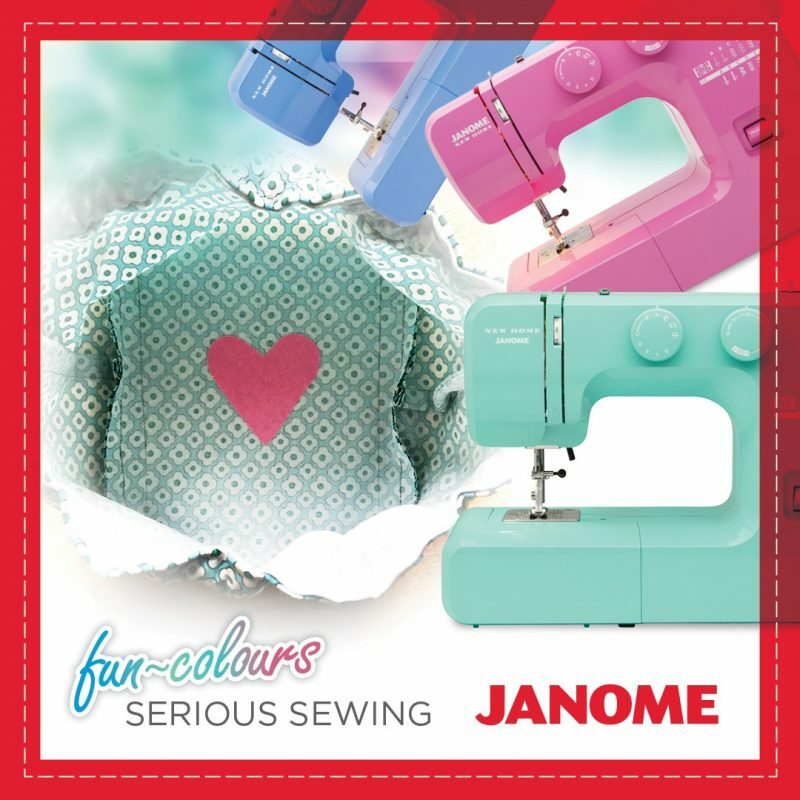 Janome…wow would love to win this! Thanks for kicking off day one with a bang! This prize is beyond amazing! I love Sheri’s card – great colours and textures. Lots of inspiration for my remaining holiday cards. As usual, SCT sponsors have provided amazing prizes . Kicking off the 12 Days of Christmas in style! The card that Sheri made is gorgeous and the giveaways so generous. I still have to try stitching on my paper crafts but would love to try. Thanks for the chance to win. It’s the most wonderful time of the year! Love all the inspiration! That sewing machine is an AWESOME way to kick of the gift giving! ETA: who doesn’t love nesting dies? So many different things you can create with them! What a gorgeous card! Thanks for the chance to win these amazing prizes! Way to kick things off. thanks for your generosity. In true Scrapbook & Cards Today style….. you start us off with the best giveaway ever!! Thank you for the chance to win this great prize!! What a pretty card and an absolutely fabulous prize package!! I would love to have this . Awesome prizes for the first day of giving!!! Love your 12 Days of Christmas!! I would love to win!! Amazing prizes for your first day! Awesome prizes. Thank you so much for the opportunity to win. Happy Holidays! First merry Xmas to all the team. My birthday is December 22nd what a great birthday present this would be. I love all of your ideas. Great inspiration and help. The Janome sewing machine would be absolutely perfect for use in my craft room — and how fantastic the dies are to create! Thanks so much for the GREAT opportunity! I would any of these fab prizes. Thank you! I would love any of these fab prizes. Thank you! What a wonderful card! And such an awesome giveaway! 12 days of holiday giving…how fun is this! And such AWESOME prizes to be won. Thank you for the opportunity! Beautiful card and fabulous prizes! Gorgeous card and wonderful prizes! Gorgeous card! W-O-W, the turquoise-colour sewing machine would be perfect touch for my layouts! I love your 12 days of holiday giveaway and hope this year I’ll get lucky! Wow! What an awesome give-a-away to start the 12 Days of Holiday Giving! I just love the card using the Merry Days collection. Thank you for a chance to win this amazing prize! What a great kick off to the 12 Days of Giving contest! The cards here are gorgeous. Who wouldn’t love having a colorful Janome machine! Thank you Scrapbook & Cards Today and Janome to a great start! Wow….a new sewing machine would be an awesome Christmas surprise! Mine is 30 years old….😯. Thanks for the chance to win! Wow, that’s a kick-off! Thank you for your inspiration and generous gifts! So Exciting! Looking forward to this! Wow, what a great way to start the 12 days of Christmas.. Thanks for another great chance to win a prize. My goodness what a wonderful opportunity to win such magnificent prizes!!! And it’s only day one! May your higher powers bless you for your generosity! Merry Christmas!!! What a great kick off! Love that card – the pink is unexpected in a Christmas card but I love it!! Thank you to all your sponsors too for amazing prizes!! Thanks for the gorgeous kick-off prize from Janome. These 12 days of Christmas are always so generously sponsored. Happy Christmas! Love the card and of course the great prizes! Thank you for a special holiday season, SCT! Just finished hand stitching 3 patchwork stockings. Everyone keeps telling me I should get a sewing machine. LOL! Well, if I win I’ll just have to try it on the next bunch of stockings! What inspiring gifts you are offering from such an inspiring magazine. I appreciate all the wonderful artists that share their amazing talents throughout the year to keep me crafting in such creative ways. Thank you for the opportunity to win during this holiday season of giving. Amazing, love the 12 days of Christmas. Would so love to win a prize. Thanks! What an amazing start to the giveaways! Thanks for the chance to win! Happy holidays1 What a wonderful prize for a wonderful time of year! I had to part with my sewing machine a few years back and this would be a totally awesome addition to my craft room. Janome is a name that goes hand and hand with quality. One of my favorite things to use when crafting is dies and I love this whole collection it covers everything you could ever want to die cut. Icing on the cake for a subscription to SCT a great magazine that never fails to impress. Thank you Janome, Scrapbook.com and SCT for this chance to win such a great prize. First off, Sheri, lovely card! It has inspired me to challenge myself to actually make a card using one of the many paper packs and ephemera sets I have! Thanks SCT for the awesome prizes to start the 12 days! I am still building my die cut supplies, so the set of nested dies would be a wonderful addition. Happy holidays! Each one of these would be a great prize to win but all three together would be awesome! Wonderful prizes!! Thank you and the sponsors for a chance at winning!! What a fun Christmas card…. And with no stamping. Didn’t know that was possible. Thanks for showing me that it is. Oh how i need to win today’s awesome prize package. My sewing machine is not working well, and the huge set of ies….. I need as I have just a few dies… Then the year subscription. Thank you all! What a lovelyly card. Receiving it will be a gift. I love that set of nesting dies. Thanks for the giveaway! Wow! What an awesome give away! Thanks for much for sharing great inspiration with your magazine and your blog! Love all of the ideas today! Oh my! Lots of amazing prizes!!! Thank you to all these fabulous sponsors!!! Wow! You are right out of the gate with stunning prizes and amazing inspiration! I get giddy with excitement every December in anticipation for this event! Thank you so much for putting it on each year! thank you so much for the oppotunity to win these fantastic prizes!!! My current sewing machine was my first major purchase when i turned 19 and i will soon be turning 60!!!! Love your magazine! Awesome prizes!!! Thx! This is such a fun card! I love all the dimension you have with the added ephemera. 🙂 Thanks for the chance to win this awesome prize! Wowsers! What wonderful gifts. Thanks so much for the opportunity to win! Wow! Amazing prizes! Thank you for the chance to win. I’ve never had a real sewing machine of my own! That would be a fun prize. Thanks to all the companies who are sponsoring giveaways! What a fantastic way to get this party started! Super prizes. I’d be thrilled to win any of them. Fantastic card! 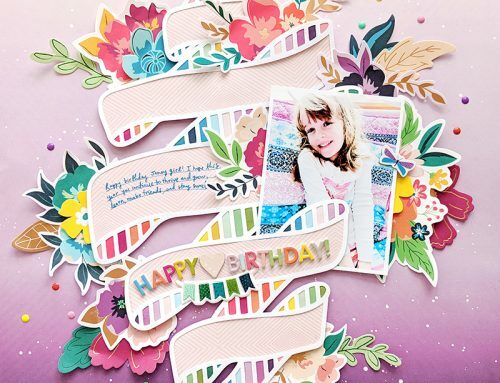 I love the layering and what a fun paper collection! Thanks for the inspiration. The prize package is, of course, amazing! Thanks SCT for the chance to win. Happy holidays, what a nice idea! Thank you so much for the opportunity to win a great gift!!!! I have a sewing machine on my Christmas wishlist! I would love to win! Merry Christmas and Happy Holidays!!! And thank you for a chance to win! Love the Twelve Days of Christmas, thanks for the opportunity to be a part of it with SCT. Cute card and great prizes. Cute samples made made!! Can’t wait to try to make something similar! The colours of those sewing machines are incredible! What an awesome prize to win! Thank you for the opportunity. Great prizes and a subscription to SCT !!! So excited for this annual contest. Probably won’t win 😜 but there is so much shared each day that I learn new tricks and ideas. Thanks!! Wow – what an awesome start to the 12 days ! I have wanted to try more sewing on my projects and this #janome machine would definitely helps ! Thanks for a great chance to win ! A great way to start off the 12 days of giveaways! Three awesome prizes. Would love to win these. Thanks SCT. Wow, killer prizes! Thanks for the opportunity to win. Amazing prizes and amazing cards! I love love love cards made with patterned paper, cutouts, ephemera, etc. So much fun mixing and matching! Thank you! WOW … amazing prizes! Would sure love to win that Janome sewing machine! I do a lot of hand stitching on my layouts but that would make it so much faster and easier! Beautiful card layout Sheri Reguly! I love the Merry Days Crate Paper. I’d love to win the one year subscription! A super prize to start the 12 days! I’ve never tried mixing sewing with paper, so this would be something new for me. Thanks for the chance to win. Thank you SCT for offering us this wonderful opportunity for another year…great designers and fabulous prizes!! What an amazing give away! Thank you SCT and all the amazing sponsors for making this possible!! I would love all of it. What a fun layout! I love the layering! Thank you for a chance to win some amazing prizes! What a fabulous prize package! Would love those dues and that sewing machine has been on my wish list ! Happy Holidays! You’ve kicked things off in a big way; these are fabulous prizes! Love the card; especially the layering and all of the small details. Wow! Wonderful prize package!! Love the sewing machine and the wonderful die set!! How amazing! Love the colours!!! Wonderful prize package to launch your amazing 12 Days of Holiday giving….with a gift that will bring joy for many seasons to come! I would be SEW happy to win the Janome as my current sewing machine is from the bronze age! Thank-you! Fun card and fantastic prizes! This is so awesome! Thank you for the chance! Cute card with lots of little details. Thank you for the chance to win one of the great prizes. What a beautiful & relatively easy looking card but really packs a punch! Thank you for sharing your talent with us!!! Thank you for sharing your talent and beautiful card with us!!! Thanks for the amazing prizes! I love the card – the colours and images are all so lovely! Wow! Great giveaway! I love all the products you showcased here. A wonderful opening day of The 12 Days of Holiday Giving with amazing prizes. Thanks to the sponsors. Wow! Day one started out with a bang? Thank you for the opportunity to win. You guys are such an inspiration! I look through the how-to’s and tutorials everyday but, with having 4 children it is not in my budget to be able to spend on these beautiful sets you create. One day, I would love to start my own collection, and bring all my photos to life! Pick me! WOW! They are amazing prizes to win. I am in love with the New Home Janome Blue Couture sewing machine to use for scrapbooking and cardmaking. Those dies sets are amazing and SCT magazines have been great inspirations to me. Thank you so much, Scrapbook and Cards Today!!! 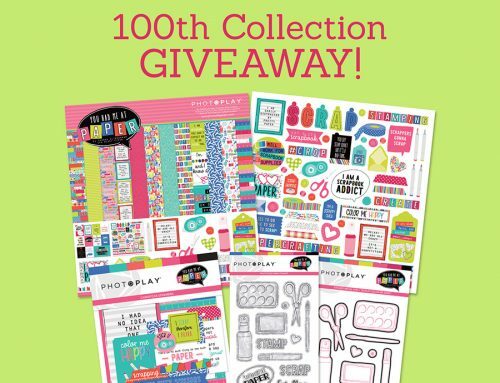 Amazing giveaways and a wonderful magazine full of inspiration for both scrapbookers and card makers. Just read the online copy, are there any retailers of your magazine in the UK? Sewing and dies and mags oh my! This is going to be a great 12 days – Thanks for sharing with all of us!! Oh my goodness!! What a way to start!! This would be a huge blessing! Thank you for the opportunity! Beautiful card Sheri! I love the papers you used and the cute embellies. Great kickoff for the 12 days of Christmas on the blog. Way to go!!! This is so much fun! I love that it makes the time leading up to Christmas a little more exciting for us grownups who can tend to get stressed out at this time. Thanks for the giveaway and fun! Let the fun begin! Beautiful layered card Sheri ***** Thank you for the opportunity to win these fabulous prizes. Amazing prize for anyone to win! What generous prizes! The set of nesting dies looks so fabulous! Thank you sct for all you do! What a great start for giveaways! Thanks for the chance to win! Whoo hoo !! Let all the crafty goodness begin!!! Thank you so much !!!! What an amazing way to start the 12 Days of Christmas. Thank you for all the great ideas you bring to us, and your generosity during this holiday season. That stuff is amazing! I could really use that subscription to your magazine cause I love them! What a day! What a Day One of this event…WOWZERS! Thanks to all the sponsors- so much goodness! Wow – that is such a detailed project – I feel like I am seeing something new each time I look at it. As for the prizes – incredible. Janome makes some incredible machines – when my old 70s Singer kicks the bucket, i am planning on replacing it with a Janome. That die set is a fabulous way to start a die collection – that is a great set of shapes. All in all a fabulous way to start the 12 days! Catherine you are a star in this video! Wow! Love it and need to see more of you like that! Again SCT goes above and beyond with its partners to inspire and spoil us! I am so proud and happy to be part of this amazing community! Wow! I’m playing catch up after helping my son and his family get moved this weekend, but I was happily surprised to see Catherine and Jennifer together live! I found Jennifer before I moved, so over 2 years ago, and have known Catherine longer than that, but seeing them together was a fantastic way to kick off your 12 Days of fun! I am in desperate need of a fully functional sewing machine, so this would be perfect! Thanks so much for the chance to win! Your sponsors continued generosity is amazing! Wow awesome prizes. A sewing machine would be awesome. Scrapbook and Cards today is so awesome. Merry Christmas! A great start to your 12 days of giving! Happy holidays, indeed!! You guys are the best. Great prizes. Love the colour of the sewing machine. Thanky ou. Wow, what a great give away. Would love to win one of the prizes. This is always so much fun to open up the blog each day for inspiration and super prizes. What a great contest good luck to all and Have a Super Christmas Holiday and great New Year. What a great 12 days this is going to be. Thanks for the opportunity to win. Great holiday gift giving kick off~! Thanks for a year of crafty goodness! What incredible prizes! Thank you for this amazing opportunity, someone is going to be very, very happy and, of course, I hope it will be me. Happy Holidays SCT~ thank you for the fun! That is such a cute card…I love that vintage look! Thanks for the chance to win these fabulous prizes! What an amazing way to start off your 12 Days! I love following this every year and I know your winners must be over the moon! Can’t wait to see everything you have this year! So cute and amazing stuff! YIKES! What a way to start the giveaway! Thanks for the opportunity and good luck to all. Wow both amazing give aways. Who wouldn’t want either of these bundles. The colours of the sewing machines are great. Love the nestling sets you could make so many things. Thanks to both our sponsors and SCT. A sewing machine is a dream. I like the turquoise one so much. wonderful giveaway Thanks for sharing these great ideas and companies. What a great way to start off the days of giving! Beautiful layout thanks for sharing this with us. I just love cards. What a way to get motives for the season! Thanks so much! Wow…. What an awesome Giveaway. I can’t believe this is only the first day. Wow I’m excited! Thanks to everyone! What a great way to start out Day 1 giveaway. The card is adorable and the gifts are generous. Thanks for a chance to win. Wow! What an amazing start to the 12 days of Christmas. That sewing machine is gorgeous in either color and amazing does plus a year of SCT – I’m over the moon at the chance to win this great prize! Thank you to all involved. Very excited that this contest is afoot again this year! Yay prizes! Love the 12 of Christmas and this year is no exception. What fabulous prizes! Merry Christmas to you and your team. Because of your magazine I have had the opportunity to attend two Crop and Create events! Thank you for another opportunity to win a prize! This is going to be an exciting 12 Days and in feeking lucky! This is going to be an exciting 12 Days and in feeling lucky! Whoo Hoo, pick me! Woo hoo, what an amazing prize! Thanks for the chance to win. How exciting! Thanks for the chance to win! 12 Days of Giveaways! Luv, luv, luv this time of year. Thank you for the opportunity to win such fantastic prizes and to the sponsors who have been so generous! Wow! I would be so happy to win any of your amazing giveaways. Wow – love the 12 days of giveaways! Thanks for the chance to win such awesome prizes. Merry Christmas and Happy New Year SCT!! I am loving that collection by Crate Paper. The stitching adds a nice touch to this card. Love the card, Love the giveaways. Starting off with a bang!!! Happy 12 Days to everyone!!! What a beautiful card full of wonderful things to look at. Looking forward to the next 11 days. Thanks to SCT and your ever wonderful partners! WOW! What a way to kick off 12 Days of Holiday Giving! I would be so lucky as to win any of these wonderful prizes! One full year of SCT magazine! An amazing die bundle and a sewing machine (I would love to try sewing on my pages)! Fabulous prizes! What an amazing prize package for the lucky winner! I hope that’s me! Oh my…what wonderful prizes! Thank you for the opportunity to win these fabulous gifts! So exciting! It really is the most wonderful time of the year!! Thank you for such a lovely giveaway! Merry Christmas to everyone! I love all the new and different colors used for Christmas cards. And all the techniques you’d never expect ! What a charming card that is! And what generous prizes too. Those die-cuts would be a great start for die-cutting – just imagine the card, layout and pocket possibilities. Thanks for the chance to win, and of course, I have already liked SCT on Facebook. Such a sweet card. Wow what awesome prizes to start off the giveaways. Thanks for the chance to win! Great post today. I watched the FB live kick off with Jennifer Tryon & SCT. How cool that you 2 are neighbors. Awesome prizes today. The sewing machine is too cute. what a prize package!! Thanks for the opportunity. Great prizes! Thanks for the opportunity! Oh wow! thses are so awesome! thank you so much for offering these prizes. You guys ROCK! Love the die cuts so many sizes there! Amazing prizes for the 1st day of the 12 days. Thanks for the chance to win. The 12 Days of Holiday Giving – so many great giveaways! Beautiful card! And beautiful giveaways. Thank you! I would love the Janome Sewing machine! It would be great to use with my paper crafting! Thanks for the twelve days of giveaways! What a great idea – 12 days of giving! Great prizes! Awesome giveaway! It would be great all those die cuts for card making. Thank you for wonderful giveaway. Have a Merry Christmas!! Wow what a great prize pack and super cute cards! What a kick off!! A beautiful card, a sewing machine, dies and a subscription to a wonderful magazine. What cute cards! And I always have a sewing machine on my Christmas list. Maybe this year Santa will bring it? This makes me “sew” happy! Love this and love SCT! What a great Day 1 of the 12 Days of Holiday Giving! Sheri’s card is so pretty and festive. I always love Crate Paper’s collections, and they did not disappoint with their Merry Days collection. Thank you so much for all of the prizes Janome, Scrapbook.com and SCT. Wowsers! Amazing prizes!! So thankful for a chance to win! I love love love this card! The color palette and style are fabulous! I think I could use everything in the collection! Love the color palette and the string bow! Would love to win the nesting diesor the sewing machine. What a fabulous giveaway! The 12 days of Christmas is awesome as always. These are great prizes. Thank you. What a cute card! Merry day one! Such an amazing prize, colours are so pretty! I would love to win! Oh those dies are to die for! Hehehe! They’ve been on my wish list for a while! And I know a perfect someone who’d love the sewing machine! Thank you the opportunity to win these lovely prizes! Wow, such amazing prizes !!! So many awesome prizes and it’s just day one! Beautiful. Thanks for such a great giveaway. Merry Christmas! WOW! What generous, happy gifts! Woohoo! The MOST wonderful time of the year has begun!!!!! What a great way to get the craftin’ party started! Good luck to all! Such a beautiful card and a wonderful prize!!! I’d love that gorgeous little machine. The colour is exactly right for my scrap room! Thanks for the chance to win! Adorable card!! Thanks for sharing your technique. I’ve missed having a subscription and would love to have one again. Beautiful card. Thanks for the chance to win. Love the use of pink on a Christmas card. Thank you for the chance to win these awesome prizes! Jaw-dropping start for your give-away … WOW! Be still my paper-crafty heart! Amazing prize… would love the machine to sew on my LO. What a gorgeous project and a super fun giveaway! Thank you for the opportunity to enter! Gorgeous card! Love to win that prize! Fun card! And what generous gifts! Great giveaways and I love the card! The colors are festive and fun – Crate Paper is one of my favorite brands. Wow!! Merry Christmas to me!! Such great prizes so I can share with me friends! Thanks! Great card and what wonderful giveaways. Thank you! Your prizes are amazing. I would love to win something! I love the detail elements of the card. Also a good reminder to use tags on cards!! Happy Holidays!!! Amazing way to kick off the 12 Days of Christmas 😍. The card is so beautiful. This is fabulous!!!! I’ve been wanting to get a sewing machine. Such amazing giveaways from awesome company…! SQUEAL!! LOVING the AMAZING Prize Package and Inspiration!! What an AWESOME way to start of the Gift Giving Season!! THANKS for sharing and for the chances to WIN!! Have a FABULOUS WEEK!! What amazing giveaways indeed!! I love all of it!! Let’s get this Christmas Party started!! Always a great time of year with your 12 days of giving <3. Wow. Have 12 days back to you SCT. Thanks for another year of amazing prizes! Sheri’s work never fails to amaze me! What a great card! And Wow, wow, WOW! Awesome prizes today! Love the color of that sewing machine, and those dies are to ‘die’ for, too! And everyone would love to win a subscription to SCT! Thanks for the chance~! What a fantastic giveaway! Thank you for the opportunity and big thank you to the sponsors. So generous of you-Janome Canada, Scrapbook.com and Scrapbook & Cards Today!! Happy Holidays! Great project, thanks for sharing this idea and these fab prizes! How do you do it? What amazing prizes! Love the little sewing machine……awesome first prize of your give a ways………thanks for the chance to win. I would love to win any of those great prizes! Those dies look like such an awesome challenge to my creative eyes. I think dies are my favorite tool for card making. And winning the sewing machine would sure save my mother-in-laws quilting machine that i inherited. She would definitely “roll over” if she knew I was putting paper through it. Thank you for the great card inspiration (I am still working on my Christmas cards!). SCT, you and Janaome have really done a great job of making Day 1 full of fabulous products! Very generous prize package! Thank you for the opportunity to have a chance to win! Well Scrapbook & Cards Today, you have started out with a bang!!! Love all the gifts in day 1. Would love to win them. Thanks for giving us the opportunity to have them for our scraprooms!! Fabulous prizes! I look forward to your magazine arriving in the mail. What incredible prizes! I love your magazine … it never fails to inspire me! HAPPY HOLIDAYS! WOW! What a great way to end the year. Thanks so much for all the inspiration throughout the year. Terrific card and such great prizes. Thanks so much for the chance. Merry Christmas all at SCT. Awesome prizes, thanks for the chance! Now here’s a Christmas gift I’d like to have! Thank you for the opportunity! The card is so lovely. All the pattered papers are great together. And I love the skates. I love stitching on cards and layout. It gives such great detail to my projects. And the dies are so versatile. Love to win either. Love the inspiration the 12 Days of Christmas provides! The sewing machine would be awesome to win! Amazing prizes!! I would really enjoy the chance to put done stitching on some layouts and have some great dies to work with. The subscription would be thoroughly enjoyed while I sit in my comfy chair wrapped in a blanket. I love everything in pink, especially the Janome sewing machine. Thank you for the chance of winning these amazing prizes. Wow what an amazing prize to start off your giveaway. Really cute card. Love all the wonderful products to win. Would love to win the sewing machine. What a great giveaway. Thanks to all the sponsors. O wow! What a lot of beautiful products! I love them all! Christmas for someone! Wow, awesome start to the 12 days, Thank-you for the opportunity! Would love to win a subscription to your beautiful magazine. Thank you. Such a cute project. And love those colorful machines. Thanks for the opportunity. I have been wanted that sewing machine forever!!! I need to renew my subscription too. I haven’t ever sewn on my scrapbook pages but love the look!! Cute card. Always love the projects shown each day. Thanks to the sponsors too. Awesome prizes! Wow! I would love to win this! Beautiful job! Merry Christmas. You folks are so generous. Everything is beautiful. Merry Christmas! I am drooling over that sewing machine, the pink would look so great in my studio! Darling card, too! Oh my a small sewing machine. The beautiful card is amazing with detail. Love the Christmas card detail, the twine under the mitt was fabulous! WOW, love all the layers of the holiday card and the Janome sewing machine, well, what fun to stitch on my projects. Thanks SCT and Merry Christmas! I’m obsessed with the 50’s vintage vibe of the Merry Day Collection paper. Thank you sponsors. Wow, what a cool way to celebrate the season! That card is just adorbs! Thank you for the chance to win. love that christmas card. It’s the first year I am making my own cards and any ideas are welcome. Love all the prizes today, especially the nested dies. Cute card and what a fabulous prize! Thanks for the chance. Wow! Thanks for the chance to win! Cute card! Awesome prizes. My sewing machine recently stitched it’s last stitch 🙁 . Would love to win one of these beauties! Thanks for the opportunity. SCT rocks! So generous! Thank you for all you do! What a cute card! Thanks for the wonderful contest! What a fantastic prize! Thank you for the chance to win! What amazing prizes! I can’t decide which one would be my favorite…. I love the card! Thanks for the giveaways! What fabulous gifts!! I love the 12 Days of Christmas and all associated with this project and giveaway. Love this. Thank you for the inspiration. I love Scrapbook and Cards Today. Such great prizes. This reminds me I need to renew my subscription! Such a fun card! Great prizes today! Thanks for the chance to win! Wow! What an awesome givewaway!! I love ScrapbookandCards!!! Thank you, SCT, for the 12 Days of Holiday Giving! The ideas are awesome! The prizes are awesome! Just having a chance to win makes for an awesome holiday! This contest is killing it with all these amazing prizes! Thank you so much. Love this time of the year. Thank you to generous sponsors. Thank you Scrapbook and cards for showcasing leader’s within our industry. Appreciate the efforts on this festive event. Amazing giveaway! I love the card and magazine, Thanks SCT for the chance to win! Wow! Amazing prizes – makes the holidays even more exciting! Happy Holidays! Fun fun fun! This prize package looks like a finale….not a kick off! Fingers and toes crossed! What a fun card! There are so many holiday elements, but the color scheme ties them all together! Awesome first day of giveaway opportunity, a Janome sewing machine! Thank you for the opportunity and Happy Holidays to All! What a great card. So festive and a very nice giveaway. Merry Christmas and thank you for a chance to win. So fun! I’ve been wanting to add stitching to my scrapbook layouts. Thanks so much for the chance to win! Love all the layers in the card. So pretty. What a beautiful card, and the prizes are amazing! Happy Christmas! Thanks for all the fun giveaways and project inspirations! Thank you all for your giveaways. Would love a Janome sewing machine, since mine is kaputs. Great projects shared today! Amazing prizes! Sewing on my layouts!?!? What a great idea. I love the colors used on the project…thank you! Happy 1st Day! I would love to win the prizes! Woah. Those are some jam up prizes. I have a couple of those nesting dies from scrapbookcom and they are awesome! Love the card that Shery designed. Oh my gosh, it is just so precious. What a great start to the 12 days of Holiday giving. Can’t wait to see day 2. Thanks for the chance to win some great prizes. Love the 12 Days of Holiday giving already. This will be so much fun! Thanks for the opportunity to win such great prizes. Wow what a start! I love the 12 days it always give me ideas and new places to shop!! What a wonderful prize! Love the colors! Loved your FB live too-would love to see more tutorials and examples!! So creative! Those sewing machine are so pretty!! It would be amazing to win one so I could finally stitch on my scrapbook layouts! I LOVE Christmas time–especially with all the great days of special prizes! I love the papers used in today’s card! Beautiful! WOW! First day of giveaways and the prizes are amazing. Merry Christmas SCT! Thank you for the chance to win these lovely prizes. Fantastic prizes! Thanks for the chance to win. Thank you so much for the amazing chance to win such wonderful prizes. This is definitely better than the song! WOW! Thank you so much for the opportunity! No one does it better than SCT! any gift would be gratefully appreciated as you always pick the nicest of prizes. The sewing machine would be nice as I tried lugging out my big one and man it’s a lot of work! The dies sure would be nice too! Love this magazine – happy holidays! my favourite time of the year! love this cards – it’s gorgeous! great prizes for day 1, can’t wait to see all 12 days! Oh how I would love to win this fabulous prize! I love Scrapbooking, card making, mixed media, and so much more. Enjoy following all the fabulous things that are posted and can’t wait for Crop and Create to start up in the new year. Thank you to the sponsors for the most amazing start to the 12 Days Celebration! Looking forward to all the inspiration l! Merry Christmas! So excited to see all the great ideas and wonderful prizes! Thank you! I sew on cards, layouts, projects and always bring a sewing machine to the Crop and Create, when they come to Thunder Bay. Amazing prizes! Thank you so much! What a great little sewing machine! And great die assortment! Great prizes! Holy moly what fantastic prizes! Thanks for the opportunity! Happy holidays to all! Pretty card and great prizes! Beautiful card, I love that paper collection. Awesome prizes too…thanks for the chance to win! This is a wonderful contest….So much giving..always wonderful at this time of year..
Fabulous first day…love the sweet sewing machine and the great die collection. Amazing prizes! Wow – what an introduction to the 12 days of gift giving. always love Sheri’s cards — so beautiful! And who wouldn’t love the Janome sewing machine and Crate Paper and a year subscription to SCT magazine. And that die set — swoon! thank you SCT and all the sponsors. Wow!! Way to start things off with a bang!! These are Amazing prizes!! Thank you all for such an amazing opportunity to win. Christmas is really coming. SCT’s 12 Days of Christmas is here. Thanks for starting off 2018 Christmas with such an awesome gift. Beautiful card and wonderful prize! Thanks SCT and Janome. Those dies are amazing! Great prizes..thanks for the chance to win! Love everything about this giveaway. Thanks to the sponsors and the inspiration. What great prizes! Loved the card. Merry Christmas! What a wonderful prize package! What a FUN card! WONDERFUL prize package! Such fantastic prizes! What a great giveaway! Always such great prizes to start off the 12 days of excitement, fun and anticipation of winning one of them. Thank you so much for this opportunity! Happy holidays! Love the prizes…especially the subscription to SCT! I miss my subscription! What a cute card! And I’d love to win any one of those prizes. What a way to start things off! What an amazing give-a-way! Thank you for the opportunity. The colorful Janome is awesome as is the die set and Scrapbook and Cards Today. Wonderful giveaway. Thank you and happy holidays. Great card with lots of fun embellishing! The prize package is amazing! A sewing machine, dies and a year subscription to the best magazine out there! Wow! Thanks for the chance to win this fabulous prize package! Oh those dies!!! To die for! Amazing prizes!!! I love it all!! Thank you for the chance to win such an awesome prize package. Just known about this giveaway. Thank you very much. How wonderful it would be to win one of the prizes. Wow. This is an amazing prize. I can’t imagine anyone not wanting to win it. Lovely card, it looks so happy! Thanks for the prizes and the opportunity! I really like this card! Great contest! Have been wanting to get into sewing crafts and would so love this machine to get started! I love love love Crate paper!! Happy Holidays!! Wonderful way to start of your 12 Days of Christmas. Love the figure skates…. Great way to start off the Season of Cheer and Happiness. What a great start to your 12 Days of Holiday Giving. Amazing prizes! Wow…you’re definitely starting out this series of posts with a BANG. Great inspiration and wonderful prizes. Thanks for the opportunity to enter this contest! (Fingers are tightly crossed!) Merry Christmas to everyone at SCT! Stitching with this machine would be amazing! Thank you for the holiday share! How did you know that pink is my favorite color? There’s no better way to make the holidays Merrier than with craft ideas and a chance to win supplies! Looking forward to the next 12 days. Pink happens to be my favorite color. Love those skates and the cute backing papers. This is really a great way to kick off the 12 Days of Holiday Giving! What a wonderful card and wonderful prizes. Thank you, all! The project reminds me of Mrs. Maisel. How fun! This would be great to win the day one prize. All I want for Christmas is a Janome sewing machine! Oh my! I would be beyond elated! I love the texture of thread on paper! I love the creativity for today and that it’s shared! Merry Christmas! Wow lot’s of amazing prizes! I love Janome and often stitch on my cards and pages. Wow! So awesome to give away such great prizes! Love the Merry Days layout sample too! So awesome and generous to give away such great prizes! Love the Merry Days layout sample too! Love all the little details on your card Sheri! It is super duper cute! Thanks for the fun way to start the giveaway days! What great prizes! Thank you for the opportunity to win ! WOW! This project is beautiful and adorable all at the same time! Thank you so much for sharing this with us. It would be absolutely wonderful to win this prize package. Thanks again and Merry Christmas and Happy New Year to you all! What a great start to this year’s giveaways, thanks so much to all for the opportunity to win! ‘Shut the front door’ (from our Lawn Fawn friends). What an incredible give away! Count me in! I like the colors and patterns on the card. The paper would make a nice scrapbook layout. I would love to be a lucky prize winner. Its my favorite time of the year. So many cute projects to take inspiration from. And who could pass up the opportunity to win these fabulous prizes?!? What a great card- so creative! And great prizes too! Would love to win. Love the card. Thanks for the chance to win! I would love a Janome to sew things into my scrapbooking!! Wow it would be wonderful to own one of these!! Sweet giveaway, love the card. What wonderful prizes for the first day! Merry Christmas to all of you! JANOME! What an amazing prize! Awesome prizes! Would love to win and up my papercrafting game! What a fun treat of 12 Days if Giving and great prizes to be had! Thanks for the opportunity to win some fabulous prizes…happy holidays! Wow, who wouldn’t love to win one of these prizes. Thank you so much for the opportunity to win one of these prizes. What a great way to start the 12days of Christmas! Merry Christmas to you too! Thank you for having this event. How cute! The layering looks great. Thank you for sponsoring the 12 days of Christmas. Wow, way to start with a great gift. I don’t own one so I’d be best pleased to nab this. Wow amazing prizes. Merry Christmas to all. Wow oh wow!!! This is one fabulous celebration. I look forward to this every year for all the fun inspiration and chances to win amazing goodies. I love how you keep us all inspired all year long!! Thank you for all you do!!! What a pretty card! Thank you for such lovely inspiration and giveaways! I’ve always wanted to see on my layouts and cards but don’t have a sewing machine. Thanks for all the inspiration and giveaways!! Thank you Sherri for the great card! Love the retro look and all of that layering! Thanks to Janome, Scrapbook.com and SCT for the fabulous prizes. Special thanks to SCT for the never ending inspiration! Thank you for the great inspiration. I would love the sewing machine as I don’t have one and would live to incorporate the look on my projects. wonderful prize package!! Would love to add stitching to my paper crafts!! What an amazing bunch of prizes. Love them all. Fun blog post! What wonderful prizes. I’d love to be the winner!! Wonderful! thank you so much for the opportunity to win . Exciting. WOW! Way to start off the giveaways with a bang! Such awesome prizes. Love the die sets, my ultimate goal would be to collect this whole set so thanks for the opportunity to win these prizes! Thanks to Janome and Scrapbook.com for the fantastic prizes for the kick off of the 12 days. I love the card that Sheri shared….i never think of pink as a Christmas colour but it totally works! Wow, fabulous prizes. Thank you to Janome and Scrapbook.com for the prizes. I always love to see the creations that the creative team come up with. Have a wonderful holiday season! I’m brand new to Scrapbook & Cards Today! I love all of the inspiration found here and the willingness to share. Thank you all so much <3 The giveaways are fantastic and I'd love to win any of them! Love the inspiration for the card… the red-ish paper caught my attention too, and I like the text “Merry Days”. Festive is an accurate term for the card! I love the colors and the various elements that grab your eye! What amazing prizes!! Thanks for the chance to win!! Merry Christmas everyone! Wow! What an amazing 12-day give-a-way! Thanks for the chance to win. I’ve been eyeing the die set for ages and I would love to win the sewing machine. I’m a quilter and the lightweight machine would be fantastic to carry to classes. 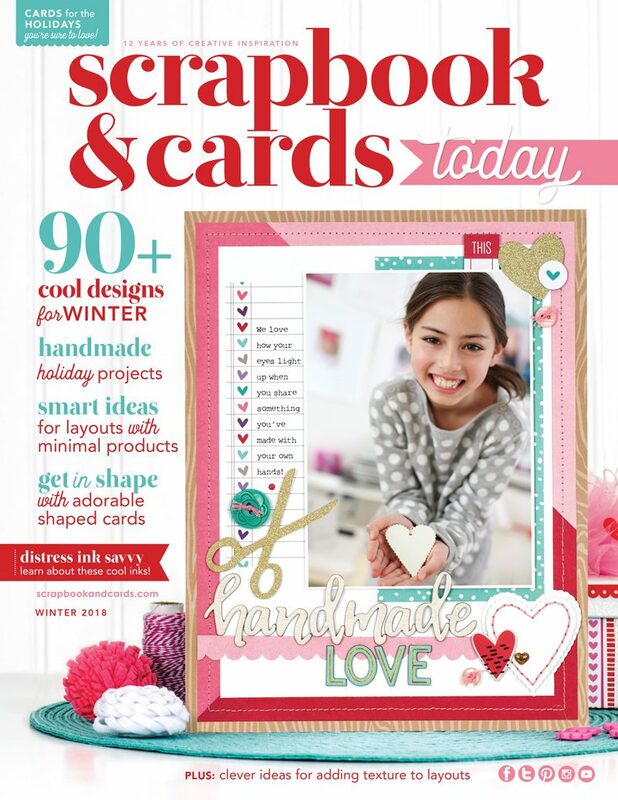 Then, what’s not to love with a subscription to Scrapbook and Cards Today? Thank you for this give away! Merry Christmas to all. Great giveway! Thanks for the chance! Those colours on the Sewing Machines! Ooh la la! Almost might make me sew beyond the page – lol! And the dies – you guys have gone all out to kick off the season right! I love this card – the old fashion feel too. Like Christmas use to be. Thank you for sharing it with us and the opportunity to win a great prize. Wow.. awesome give-a-away to start the 12 Days of Holiday Giving. That Janome sewing machine is a super prize. 12 Daysif Christmas!! What a event! I’m so grateful to have a scrapbook magazine that can still be found in print! I’ve been trying to win this sewing machine for years! This would be the perfect year to win because I’d also get those fabulous die sets AND a subscription! Thank you for this chance at winning such wonderful prizes! As Christmas draws near, the excitement of the season begins! I love Christmas everything! I am so excited to have an opportunity to win these amazing prizes. Thank you to all the sponsors. Love Janome and the dies would be an awesome addition to my scrapbook room, and the subscription would be a huge bonus. Thank you for the chance to win. Happy Holidays. Oh wow, what wonderful Christmas present this would be! I love to stitch on my pages, but I hate having to pull out my big old machine. This would be perfect. Thanks for the chance to win. Great card!!! Love the colors!! Great giveaway too!! would love to win! Happy Holidays and thank you for this lovely contest with wonderful prizes. So exciting! Love dies — I think it’s an addiction and the sewing machine is amazing. Thanks for doing the 12 Days of Christmas. Your sponsors are so generous! Such a great giving event for “The Most Wonderful Time of the Year”. Thank you Scrapbook and Cards Today for giving us so much to look forward to all year round as well! Merry Christmas! Excited about this giveaway! Merry Christmas! 🎄 Love the beautiful color of this sewing machine. Thank you to all donators for the great prizes. Thanks so much for the wonderful Christmas gift! The scrapbook community is so generous! SO glad to be a scrapper! Great gifts on Day 1, thanks!! Wonderful card and what a fantastic giveaway! I would love to win any of these. What a fun way to spark some creative thoughts with this 12 Days of Holiday Giving! Thanks for sponsoring and for all of the awesome prizes in the giveaway! SCT never ceases to amaze me with their generosity and that of it’s sponsors! Merry Christmas to each and every one of you! Until recently I have relied on my cameo to.do all my diecuts but I am coming to realize there is something to be said about the ease and process of using dies! Love the cabin! Such a cute gift box ! Thank you for a great year. I would love to have a little sewing machine to follow the current trends on my scrapbook layouts. A great giveaway. I would love to win the little sewing machine to share with my granddaughter, who, much to my delight, is interested in scrapbooking and sewing. What a generosity offering! Merry Christmas! I have been seeing your posts on Facebook about the 12 Days of Holiday Giving and kept getting sidetracked. So happy I finally found some time to get caught up with the posts. Love the inspiration and WOW! such generous prizes to kick this off! Wonderful card. Great giveaway. Thanks for the opportunity to win. What a fabulous prize! The card is so very interesting with all the different parts to it. Thanks for a chance to win. Thank you for offering this 12 Days of Christmas! Wow what awesome prizes! It seems during the holidays I’m busy doing for others so it’s fun to check in at the end of the day for some me time. Awesome giveaways from an amazing magazine!! Thankyou!! You guys are just the best! Thank you for not only the prizes, but all the work you put in on our behalf! You make our hobby such a fun activity to look forward to. The prizes are fantastic. Im checking out all the sponsors. Keeping fingers and toes crossed. Happy holidays!! What a beautiful card! And a super awesome giveaway! I love to see! What a generous celebration! Thanks for making it available to all of us! Fabulous prizes and fun ideas of inspiration!!! Happy Holidays to Scrapbook and Cards !!! Super prizes, would love to win them all! Add the sewing machine to my collection of Janome machines. I always make our holiday cards and am super excited to see some new and fabulous ideas. Thanks so much! What a great giveaway to start the 12 days of Christmas. What a great prize, would so love to win it. Love love love!!! Merry Christmas! That Merry Days has been such a hit!!! Thank you for offering such wonderful prizes. Thanks for a chance to win. Merry Christmas!! Wow wow WOW!!! Great project and prizes – all the star eyes! Great prizes again this year! Love the 12 days of Christmas. So many great prize packages to win, so many talented people sharing all their ideas with us and inspiring us to try new and exciting things! Thank you Scrapbook and Cards and thank you to all the sponsors who contribute for our chance to win! Merry Christmas to everyone! Thank you for all of the great ideas! Great prizes! Thanks for the chance to win. would LOVE to win one of these great prizes!! Fantastic start to the 12 days of giveaways! The sponsors are so generous, including SCT! Oh my goodness! This is an amazing giveaway! What an amazing first day of prizes! Thank you sponsors for all the giveaways! Wonderful and exciting to join in this “Giveaway.! Thank you SCT and sponsors. What a beautiful card. I sometimes struggle with the ephemera in the SCT samplers and this just gave me a ton of ideas. thanks for having such great giveaways!! Crate Paper’s Merry Days is the prettiest design and color palette! Amazing Prizes! Thanks for a chance to win! thank you, sponsors! luv the layers of this card. and then adding some twine to give it some texture!…great!! Such a cute card! I love Crate Papers papers, they are always gorgeous. I love all the little different elements incorporated into the design. Such generous giveaways! Wow! A sewing machine is on my wish list!! Fabulous prizes! This is such a fabulous prize! Such a beautiful card! And what wonderful prizes for the first of the 12 days of Christmas. Thankyou to the sponsors, Janome, Scrapbook.com and SCT!! Happy Holidays to all. Amazing prizes! I like the magazine most of all! What a great way to start off Day 1 of your Holiday giveaways. Thank you to Sheri Reguly for sharing her beautiful card with us and to Janome, Scrapbook.com and SCT for the wonderful giveaways. What an adorable card and what wonderful prizes!! Thank you!!! Love their sewing machines!! I machine stitch on every page I create. Thanks so much for the chance to win!! Such wonderful prizes! That teal sewing machine would look great in my craft room. Thanks for the chance to win! WOW what an amazing start to the twelve days of Christmas! Thank you for the opportunity to win. Awesome giveaways!! I am hoping this is open to US residents also. Thanks for a chance to win awesome pries!! Wow what wonderful prizes and a beautiful card, Sheri! Thanks for the inspiration and chance to win! Wow! What fabulous prizes! Thank-you SCT for hosting another amazing season of giving!! Yay for a crafty holiday! I’m late joining the party, but I cannot wait to see all the amazing creativity!! Thanks SCT! AMAZING card!! And what a great prize. Beautiful products, great prizes. THANK YOU SCT AND SPONSORS! Love holding the magazine. Great kick off to the 12 days! Looking forward to going through the rest. What a start to the 13 days. I’d be happy to have these prizes delivered to my door! What great prizes. Very cute card. Thanks so much for the opportunity to win these amazing prizes.Happy holidays. Beautiful card and great prizes! Wow! 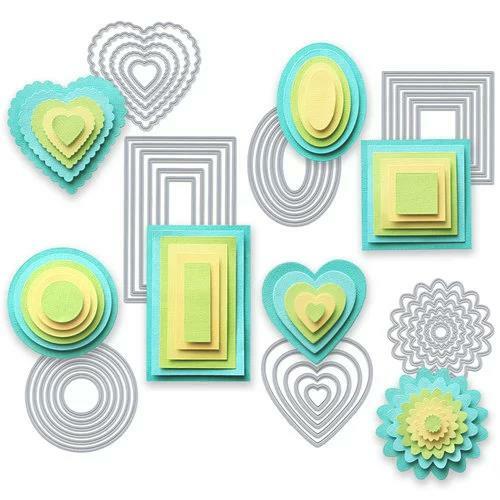 All the things you could create on a page with the nesting die cuts! The sewing machine would great, I’ve never done stitching one my layouts before! Thank you for chance to win! Love what you did with the card, all of the layers and embellishments look great! Thanks for the giveaways! This celebration of crafters is always so exciting!! Thanks for all the prizes!! Wow! What a generous array of prizes for day one! I am blown away! The beautiful card you made it so perfect! The winter Crate Paper is so pretty! Thanks for the inspiration and for the opportunity to win! Fabulous prizes here on SCT. Thank you so much! What amazing prizes! Thank you for the chance to win! What wonderful gifts to win and to share! Happy Holidays SCT team! Thanks for the giveaway. Hi To All – First, Merry Christmas. I have been trying to scrapbook off and on for many years accomplishing an ancestor album. I used pretty archaic tools and supplies. I stopped in to watch Vicki Boutin on FaceBook and I was blown away at how things have changed. She also inspired me to continue. Thank you Vicki and thank you sponsors for all the wonderful giveaways you have provided. I intend to take advantage of things that are available. May the new year be full of fresh ideas for all. Wow!!! What great prizes. I could sure use a sewing machine!!! I hope I win! Thanks for the opportunity to win these fabulous prizes!!! Wow! What a wonderful prize. A new sewing machine would be awesome! Great prizes! Thank you for the opportunity to win! Great start to your 12 day party! Would love to win a sewing machine! I am in love with those nested dies! !